Are Your Displays Properly Executed in Stores? Companies spend billions every year on displays and other forms of point-of-purchase marketing. Mobile Audits offer far-reaching visibility inside stores, so you can ensure your marketing displays are in place, correctly implemented, and making money...not just spending it. 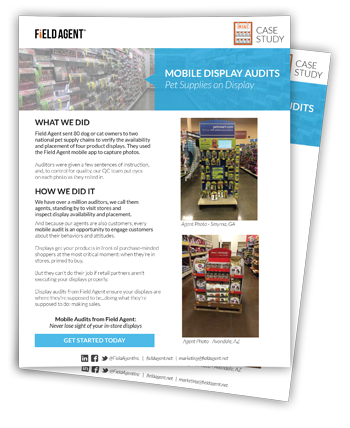 See how we used our Mobile Audit platform to go inside stores and verify the placement of pet supply displays. Fill out the form to download this one-page case study. Retail displays are highly effective at attracting shoppers and driving impulse purchases. Field Agent crowdsources smartphones to provide a direct, on-the-ground link to stores throughout the country, meaning you can be confident your displays are doing their job. And doing it right. 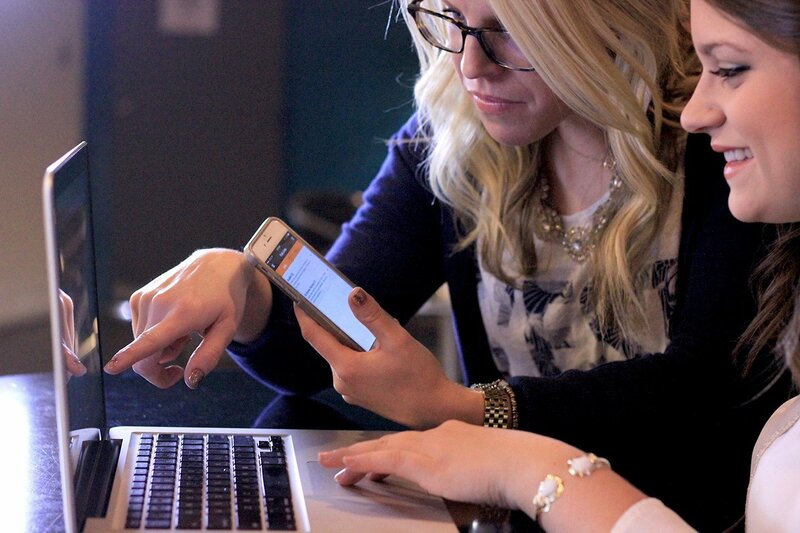 Mobile Display Audits are fast and can often produce results in a matter of hours. Think mobile for instant in-store visibility. Anywhere, anytime. Be in stores without leaving your chair. With Mobile Audits, information about your in-store displays comes to you, so you can monitor your POP marketing with ease. Mobile Display Audits combine the efficiencies of smartphone technology and crowdsourcing to collect in-store information more affordably. Identify your business problem and quickly build out your survey or audit in our do-it-yourself system. Choose the locations you'd like to target and how many responses you'd like to gather. Launch your job across the U.S. to over 1 million Agents. The data is collected in hours and days rather than weeks and months! With each approved response, see real-time data populate in your account. Click below to create an account, and start getting answers now.